When it comes to being eco-friendly machines, cars that are not electric or hybrids have gotten a pretty bad rap in the last several years. While it might be great if everybody was able to ditch their current ride for one that is more environmentally friendly, the fact of the matter is not everyone can afford to buy a new, energy efficient vehicle right now, and most people are reliant on a gas-guzzling vehicle in their daily lives. 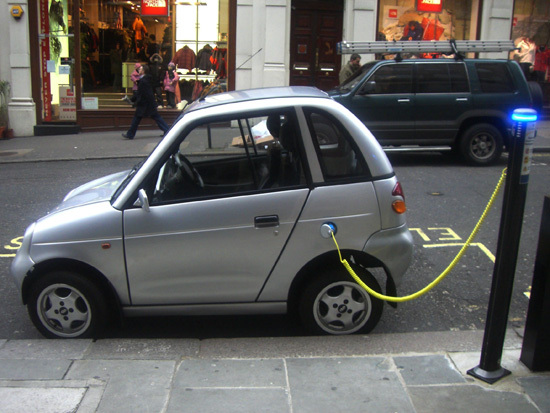 Luckily, by changing a few habits, there are several ways to make an existing, gas-powered car better for the planet. Of course, one could just not drive as much, but there are still everyday errands that need to be run. Turning a traditional vehicle into one that is friendlier toward the environment mainly means finding ways to reduce the amount of gasoline or diesel it uses. Get together with a couple of co-workers or friends and neighbors who work in the same location and take turns driving. Rather than four or five cars being taken to the same place each day, only one will be used. This will cut down on emissions as well as wear and tear on every vehicle. It can also help each person save on gas money, reducing their own expenses. Sudden, frequent stops and jackrabbit starts not only burn more fuel, they are bad for certain parts of the car. They reduce fuel efficiency, forcing drivers to buy gasoline more often than normal. Look further down the road and slow to a stop instead of accelerating to the stop and hitting the brakes hard. When accelerating, manage a pace that gets the car from 0-60 in about 15 seconds. Speeding can not only be dangerous, it also unnecessarily lowers the gas mileage of vehicles. If this option is available on the car, use it whenever possible, especially when traveling down a highway or other long stretch of road with no stops. The cruise control maintains a steady pace for the car, making the most efficient use of gasoline. The exception is during winter weather. The tires can sometimes spin too fast, causing a loss of control if the car drives over a patch of ice. Idle hands are the devils workshop, it is said. Well, as an analogy, if you idle too long, youl pay a devilish price for it. When running into a store or stopping to visit neighbors or friends, dont let the vehicle idle if it is going to take longer than a minute. This will help conserve fuel. When it comes time to run errands, plan as many as possible to be done at the same time. Decide what route will be taken ahead of time and set it so there is a minimum of backtracking. The good news is that it doesnt require buying a new electric or hybrid vehicle in order to have a car that is environmentally friendly. Some driving habits will need to be changed, but that seems a small price to pay for all the good that it will accomplish. Share your gas-saving tips with our readers below. A penny saved is a penny earned! Jane Simpson consciously tries to reduce her fuel consumption by following these easy habits. She writes for a site that offers a free new car calculator, which is a useful tool for working out the monthly cost of purchasing a new vehicle.